Written in cooperation with GoodSearch. Puerto Vallarta is not new to me. I have spent more time here than anywhere else on Earth but home. While some complain about the vast growth of the city over the years, I find that much of what I love has remained constant over time. For the vacationer, Puerto Vallarta surely has it all: excellent dining, an endless array of activities, world-class hotels, and fantastic nightlife. In addition to all of the well-known and well-documented choices, I’d like to share a few of my insider tips to make your paradise vacation truly special. Old Town, or the Romantic Zone if you prefer the new moniker, is not a secret. Nearly everyone at some point wanders across the bridge to check it out. Sadly, few take the time to discover the hidden gems, such as A Page in the Sun. Part used book exchange, part coffee shop, A Page in the Sun has been a Puerto Vallarta institution for over 20 Luisyears. Now in a new and larger location, it continues to draw us in for breakfast and friendly conversation. Many amazing restaurants in town offer lovely views, but for THE best combination of a killer view and a unique experience, take a cab south of town to Casa Karma. This boutique hotel also offers up gorgeous rooms, but we go for the Bloody Mary bar! Each weekend, the Bar at Casa Karma whips up the most amazing “make your own” Bloody Mary bar we have ever seen. 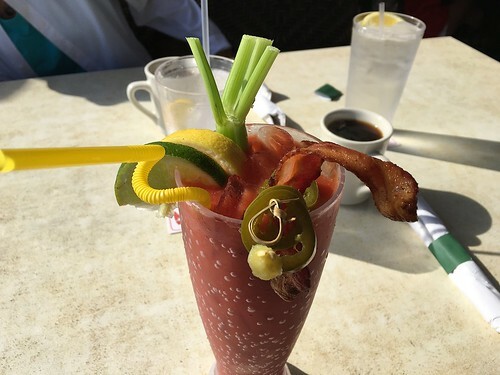 You start out with a delicious Bloody Mary, and you can add as many additions as you like — bacon, artichoke hearts, pickled asparagus, pearl onions, blue cheese-stuffed olives, and the list goes on. Admittedly, this is not a traditional take on brunch. You will certainly leave Casa Karma both pleasantly full and happy. To be truthful, for visitors doing research, El Carboncito is not a secret. However, in all of our trips there, we have rarely seen any tourists, so now the word is officially out. 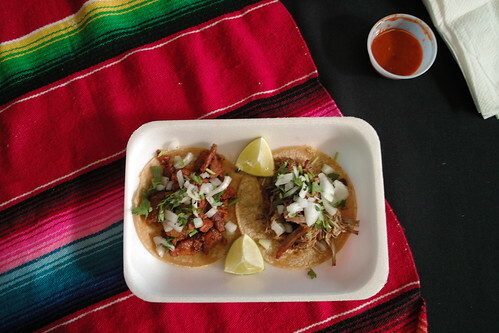 I love tacos, and I especially love tacos al pastor, which is meat slow-cooked on a skewer, served up on a freshly made tortilla with a slice of grilled pineapple, chopped cilantro, and fresh salsa. A squeeze of lime is mandatory. The very best tacos al pastor I have found throughout Mexico come from El Carboncito, on a small side street in central Puerto Vallarta. Sitting in white plastic chairs, surrounded by chattering locals, eating two, or four, of these gems just makes me happy. For THE perfect evening out, so perfect, in fact, and that it is how we spent our anniversary this year, we walked down to El Carboncito’s for tacos, before heading for mojitos and tango at La Bodeguita del Medio. Technically, it’s salsa, not tango, but nonetheless, this is my favorite bar in Puerto Vallarta. I generally am not awake late enough to fully appreciate the dancing that randomly breaks out, but the live salsa band, excellent mojitos, and friendly staff are enough to keep me coming back for more. 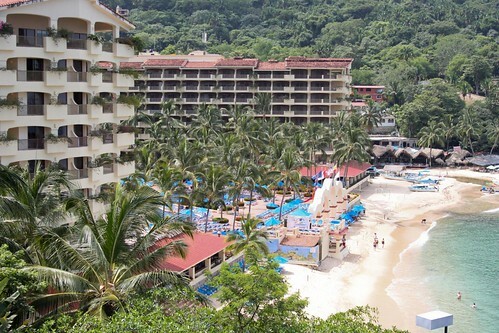 My Puerto Vallarta doesn’t consist of the typical visitor’s experience. 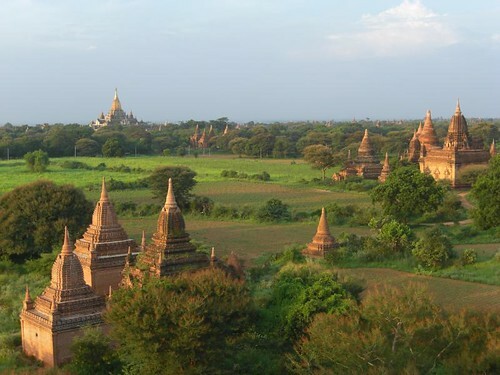 Having visited so many times before, I have experienced first-class resorts, and done the sightseeing. These days, I want to meander side streets and find the true soul of the city. Written in cooperation with Good Search. I’ve been many places, explored famous cities, and discovered hidden gems. 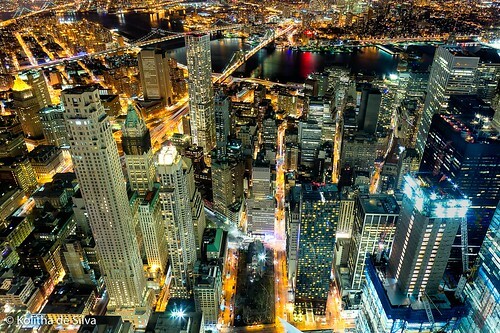 One city that still remains on my bucket list, though, is New York. I’ve traveled through New York many times, always en route to somewhere I considered more exotic. The longest I’ve ever spent in the city was one nine-hour layover at JFK and an unpleasant night at an overpriced airport hotel on my way to South Africa. However, the true city has escaped my attention thus far. Someday I’ll get there. Someday I’ll wander Central Park, head to the top of the Empire State Building, and browse Fifth Avenue. Someday I’ll search for that perfect hotel to make my New York dreams come true and truly experience this diverse city. As a major foodie, my first dream begins with food. 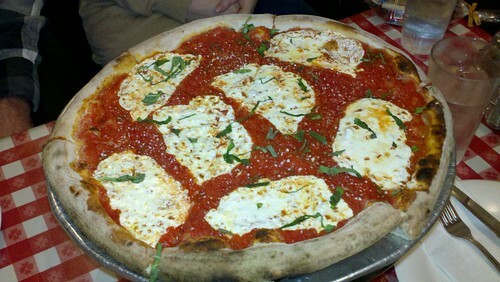 Pizza is a weakness of mine, and I readily admit to wanting to eat my weight in pizza Margherita at Lombardi’s. As the first pizzeria in the United States, this spot has been selling slices as far back as 1897. It might be cliché, but it’s a true New York tradition. Even now, my taste buds salivate and my senses come alive as I imagine just how good this pizza will be. Bagels would most certainly be on my food list, along with a street hot dog, a pastrami on rye, and New York cheesecake. For my ultimate New York food adventure, however, I’d join one of the butcher paper dinners at Brooklyn Grange Farms. This eclectic spot holds the worlds largest rooftop garden, producing everything from organic greens to fresh eggs. Rotating chefs from around the city create communal farm-to-table meals on Sunday afternoons. It just doesn’t get any fresher. As intriguing as these foodie pursuits may be, I also want to experience some other parts of the city. One of my first stops would be the Explorers Club Headquarters. Originally founded in 1904 to promote exploration, all of its fabled articles are still intact at its current location, the fifth in New York. Featuring a library of over 13,000 books and 5,000 maps, taxidermy examples from around the world, and an enormous globe used to plot the famous Kon Tiki expedition, this place is my travel dream come true. Goosebumps emerge as I consider the hundreds or thousands of intrepid explorers who have walked its halls. To end my weekend of eating and exploration, I would head to a concert in a stranger’s home. This is not as crazy as it sounds. While I have no intention of simply dropping in on a stranger, I would check out the latest offerings from Sofar Sounds. These intimate concerts feature up-and-coming acts and take place in people’s homes around the city. The acts and locations remain secret until the day of the event. New York offers so much more, of course. I could write an entire article about to find the most unusual place to stay in the city of unlimited choices. My New York, whenever my time finally arrives, will focus on food and seeking out the unique sides of the city. Lombardi’s, watch out. One day I’m coming your way! The turquoise waters of the Caribbean lead to islands as diverse as the individuals visiting them. Whether you are looking for nightlife or silence, desert landscape or lush vistas, there is an island just right for you. You can even find coupons to make your travels more economical. Sometimes the hectic pace of life has worn you down, and you simply want to escape to a place where thinking is not much of a requirement. If this is where you are at, look no farther than the Bahamas. You will be assaulted with over 700 different island options to choose from, all guaranteed to offer up a quick escape from the United States, coupled with stunning beaches, friendly locals, and amazing seafood. Just 50 miles off the Florida coast, you will barely feel as though you started your journey before you find yourself gazing at the tropical fish circling your toes. You’ll be blessed with a comfortable year-round climate and seemingly endless resorts to choose from. Relaxing in the Bahamas is simply easy. Most of us love a bit of British culture, long enamored with the United Kingdom’s music, beer, and royal family. How about taking in a bit of Britain with a better climate? 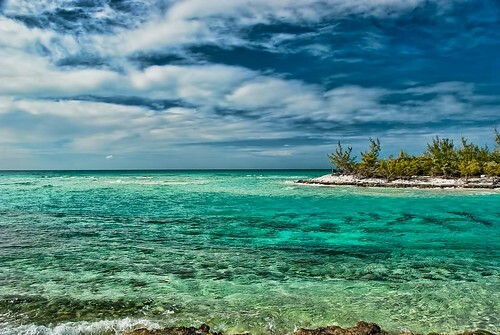 The Cayman Islands, a slightly less chaotic version of Southern Florida, gives you all of the charm of the island across the sea, but with the gorgeous water and white sand beaches of the Caribbean. Head to Grand Cayman for the resorts, to Cayman Brac for the fishing, or Little Cayman for exotic wildlife. Better yet, incorporate all three into a magical vacation that will create memories for a lifetime. Sometimes, a mix of relaxation and adventure is the perfect vacation combination. The Dominican Republic offers just that. While the lovely beaches circling the island offer up enough Caribbean beauty to impress any beach connoisseur, it’s equally stunning in the less-traveled inland. A perfect day may just involve a hike through the lush tropical forest, which is a mere 30-minute drive from Puerto Plata. At Damajagua, hike up one side so you have the chance to jump into one of 27 waterfalls on the other! 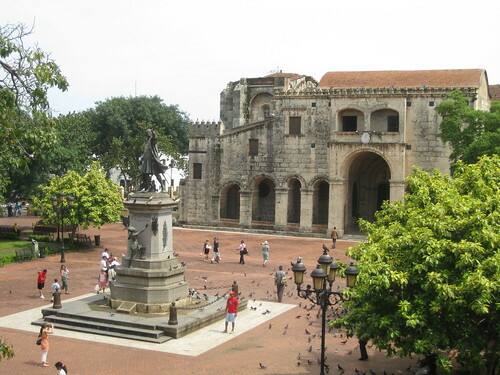 If that bit of adrenaline isn’t enough, head into Santo Domingo to visit the oldest stone church in the Americas, set in 1514 by Christopher Columbus’ son Diego. Perhaps you don’t have a passport. Or you do have a passport but are looking to explore more of the territory of the United States and still want something exotic. Look no farther than Puerto Rico. This island territory offers colonial heritage, sprawling resorts, and a thriving Hispanic culture. Kayak the mangrove swamps at La Parquera, zip-line in Mucaro, or simply dance the night away at one of the many casinos. 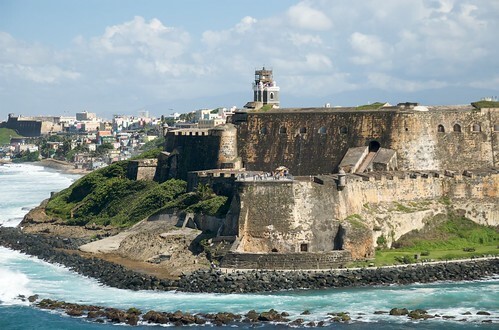 Puerto Rico offers up more than enough options to keep anyone satisfied, all while you’re surrounded by stunning scenery and interesting history. Whatever type of vacation is on your bucket list, the islands of the Caribbean can deliver!